Calls for a Pokemon MMORPG have been around since the dawn of the genre, but Nintendo has never come around to the idea, sticking to the highly profitable handheld reiterations instead. 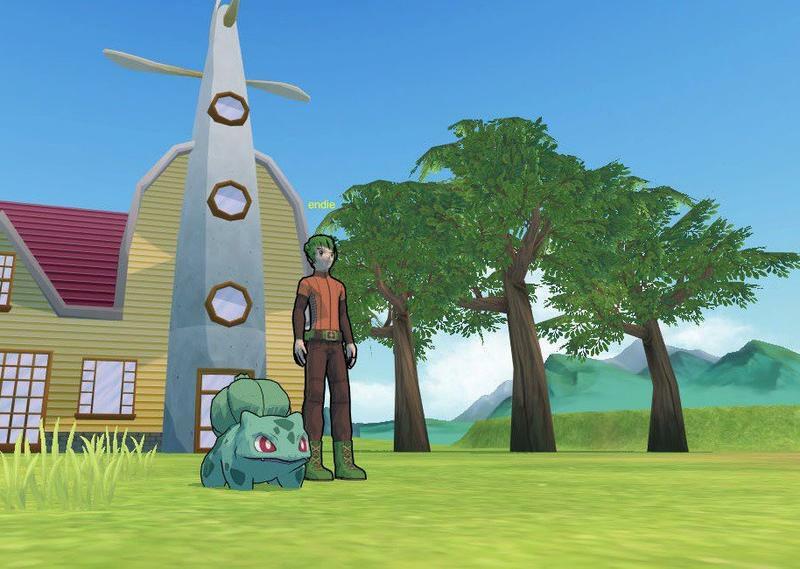 Running with the recent theme of gamers stepping up to complete demands that go unanswered by publishers, a brash group of Pokemon fans from the PokeGen community has just released an alpha-build of Pokemon Planet, a fan-made MMORPG, for all to enjoy. You can download it at the Pokemon Planet official forums for both Linux and Windows. It is important to note that this MMORPG is very early in its development, and the developers have stated that nothing seen here will make it into the final version. From the trailer, it looks like you'll once again make the most difficult decision of your life: Charmander, Squirtle, or Bulbasaur. You'll then take them out into the field to battle other trainer's starting Pokemon. Of course, the team plans to expand this into a massive world, probably resembling the first generation of Pokemon from the looks of it. You'll be able to catch wild Pokemon, battle gym trainers, level up both your trainer and Pokemon through a skill tree, and do just about everything you are capable of in the main games, just in a fully realized 3D world alongside your friends! That is, if Nintendo doesn't put an immediate stop to this now that the word is out. Copyright is something Nintendo doesn't particularly enjoy sharing, even if we've been asking for a game like this for 15 years. Take my advice and download it sooner than later if you don't want to miss your chance. Those "not-Bulbasaur" chia pets vanished before their debut weekend was out, and the creators weren't even calling them "Pokemon." Pokemon Planet's team is also quite small for such a huge project, so we'll see how far this gets. For now, just enjoy the alpha-build, and if the reception is positive enough, maybe Nintendo will stop playing ostrich with the loud calls for an official game somewhat along the lines of this.